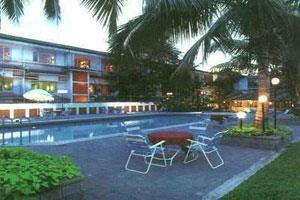 Hotel Casino is located in Cochin. The experienced staffs are working at that hotel and services of the casino group offers perfect. If you are visiting to Kerala first time means then right place to start their enjoyments here. It is located in Wilmington island as you drive in you can capture the ancient port which is of olden style icon is impressive. In Hotel Casino, it is fully of Ayurveda with peaceful yogasanas. The Hotel Casino is known for its quality and the activities are more to enjoy with family and friends the outdoor activities, indoor activities and chargeable activities are allowed in Hotel Casino. The Outdoor activities are basketball, swimming, cycling, rowing boat, ball badminton, shuttle etc. Indoor activities are chess, caroms, playing cards, snooker, table tennis, snake and ladder Etc. Chargeable activities are house boat, motor boat, speed boat, and sight seeing in Fort Cochin. Mattancherry Harbour Cruise Shopping. The Resort is fully equipped and to make the guest pleasurable the restaurant is fully furnished and looks great and also they provides good quality foods and beverages. It is furnished with luxuriously and allow plenty amount of sunlight to come in. The Restaurant is 24/7 contains both vegetarian and non- vegetarian too but the dishes are mostly in Malaya lees Style. Delicious foods and whatever you needs everything is full filled in Hotel Casino. The Multi Cuisine Hotel Casino is appointed by experts who take care of guests with immense care. The Chefs can make food of guest's choice at instant. The ambience is mind blowing and you will surely enjoy a great time with your beloved in Casino. Accommodation is well planned in Hotel Casino where it comes with standard rooms and suite rooms for customers convenience and provided with Rates of Different rooms. Tax extra are applicable. •	5-12 child rates are applicable. The Facilities in Hotel Casino are great compared with many Hotels and it comes with Tharavad Multi Cuisine Type Restaurant and people love to have up to their extreme. swimming Pool, gift Shop, Ayurveda center, and Doctor on call facilities also available and which is available in almost all hotels to take of guests. Durbar hall, Theater Style and Class room style conferencing is also available in Hotel Casino. Distance: It is situated on Willington Island which is 40KM from Cochin International Airport and 6 KM from Downtown Ernakulum. House Boats Kerala: House Boats or Kottuvellam as they locally called are the great way to explore nature well in the backwater of Kerala and everyone loves to have a ride. This becomes an integral part of experiencing the beauty of Cochin and backwater beauty.